Hello, readers of Manga.Tokyo, and welcome to another article of my Anime Studies series. This is Mokugyo, and this time I am going to track the success of the animated movie Kimi no Na wa, also known as Your Name. Fall has already come to Japan, and it’s getting colder day by day. I don’t like the cold season, so it’s a bit of a bother for me. 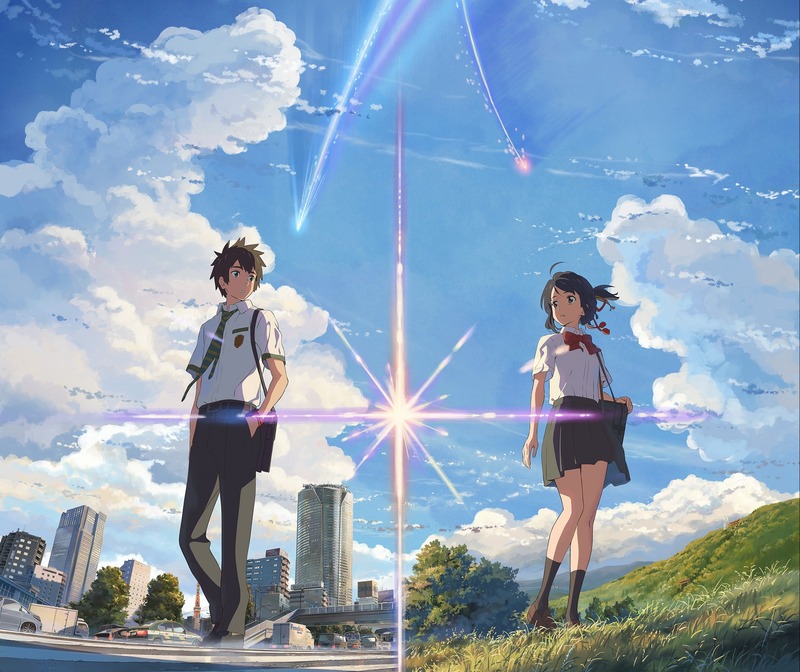 Currently, however, there is a particularly hot phenomenon that has been spreading all over the country: the blockbuster hit Kimi no Na wa (Your Name), which was released on August 26. From its premiere it went on to break some amazing records. 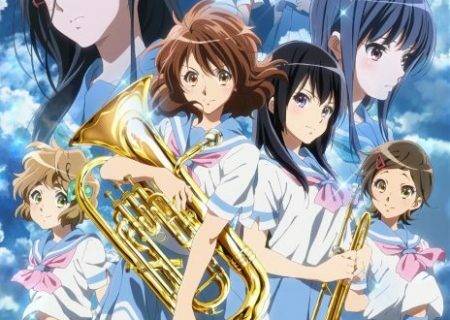 Its box-office revenue has been ranked first for six consecutive weeks with a box office revenue of 12.8 billion yen in total when a movie in Japan is considered successful at around 2 to 3 billion yen. Needless to say, it is by far the best selling movie (both foreign and domestic) to be released in Japan this year. It’s also the first animated film to exceed a revenue of 10 billion yen after those directed by Hayao Miyazaki; it even surpassed Miyazaki’s last film, The Wind Rises (11.64 billion yen). The director of the film, Makoto Shinkai, is well-known among anime and movie fans for his quality works, but the box office result of his last film, Garden of Words, was a mere 150 million yen. That means that Your Name has a revenue 120 times bigger. How did it manage such a feat? Makoto Shinkai is 43 years old (1973). For a movie director he is still quite young. He released his first anime film, Voices of a Distant Star, in 2002. The movie was well received from anime fans. Everything was done by Shinkai: direction, scenario writing, animation, art, and editing. Even though Japan has been mass-producing anime, there was nobody back in 2002 who could have produce such a high-quality, 25-minute anime film on his own. Ever since, he has released more anime films such as The Place Promised in Our Early Days, 5 Centimeters per Second, and Garden of Words. He gained more fans because of his beautiful background art and poetic expressions, but his films hadn’t been distributed widely enough to be recognized by the general public. 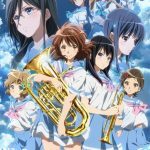 With Your Name, the producer decided to distribute the movie in all areas of Japan. Shinkai devoted himself to make it entertaining enough for the general public. As a result, he managed to become one of the most recognized directors all over the country. The difference between Your Name and his other films is, to put it simply, its ‘cheerfulness’. His past works hardly made audience laugh in the theaters. This film, on the other hand, has some funny scenes in the first half of the film and its overall atmosphere is rather bright, stirring away from the heart-aching sadness of his past films. Your Name had the Shinkai trademark though: beautiful and detailed background art. He managed to create an entertaining piece while keeping his artistic style. ○The setting captivated young people’s hearts. The best advertising is always the one that spreads from the fans directly. Word of mouth worked miracles after the premiere of Your Name, because the movie managed to win the hears of the young people in teens and twenties. In this age of Social Media, you can count on the fans to quickly spread the news. The Wind Rises, directed by Hayao Miyazaki, had a more mature story. Mamoru Hosoda, who is often considered to be Miyazaki’s successor, released Summer Wars in 2009, a story about a high school student facing a crisis in the internet world. The movie caught the attention of young people. For reference, the protagonist of Summer Wars was voiced by Ryuunosuke Kamiki who voiced the protagonist of Your Name as well. Mamoru Hosoda also released Wolf Children in 2012 and The Boy and the Beast in 2015. They made a decent box office run, but both stories were told through the perspective of a parent. Teenagers had been waiting for a story directed to them, their own generation; they had been thirsting for ‘their own story’. Your Name is that story. It is a story set in the modern world. It is a romantic comedy about a high school boy living in Tokyo and a girl living in the countryside who switch bodies. They keep journals about their switched life on an application similar to LINE (a very famous chat application used in Japan). The setting appealed to the young people in their teens and twenties and captivated them. And, as we said earlier, this generation knows how to spread the news: Social Media went crazy. People who usually don’t go to the movies were caught by surprise by the hype and went to see the movie. Seeing that the hype was justified, they in turn took part in spreading the news. It was one of his past works that inspired Shinkai to create this film: an anime commercial advertisement called ‘Crossroad’. It was produced to advertise a well-known remote education company, Z-kai(Z会). It was about a boy and a girl who live very far from each other, and they study together through the Z-kai’s correspondence education. They get to meet each other at the end when they go see the announcement of those who passed the exam. There was another popular movie released in 2016 in Japan, Shin Godzilla directed by Hideaki Anno, known for Neon Genesis Evangelion. This latest film in the Godzilla franchise also made a huge box office success, earning over six billion yen, and is currently the number one movie at the box office in Japanese films (excluding anime). Trivia: Incidentally, back in 1954 when the very first Godzilla film was released, a Japanese film titled Your Name was released and made it to number one in the box office. It happens to share the same title but the story is completely different and unrelated. Still, some movie fans are making the connection after 62 years. Weird coincidence. Shin Godzilla and Your Name have something in common: Both films remind us of the 2011 Touhoku disaster. The 2011 Touhoku earthquake and tsunami took a heavy toll: more than 15,000 lives were lost and we are still halfway through the restoration and recovery; the scars are still visible. 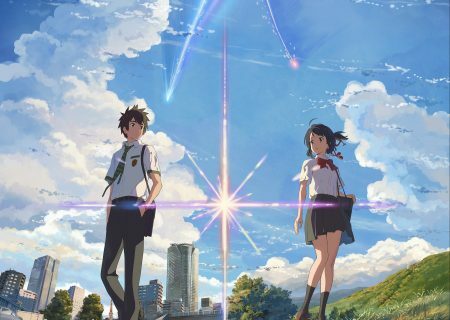 Your Name was created after the disaster, and the movie is strongly influenced by it. It is possible that this resonated with the Japanese viewers as well. A correct and interesting depiction of local culture can always affect the success of a movie. In Your Name the viewers are able to rediscover how beautiful Japan really is. The male protagonist, Taki, lives in Tokyo, but the town is illustrated in a way that paints the city in a favorable light. Mitsuha, on the other hand, lives in a beautiful rural town, surrounded by nature. Shinkai has established his reputation for illustrating realistic and beautiful background scenery. Shinkai also featured a quote from Japanese classic literature, just like he did in his last work Garden of Words. Trivia: A character that appeared in Garden of Words also appears in Your Name where the classic quote is explained. Creators are fans as well. A bit of fan-service is always expected. The scene helps Japanese people rediscover a rich classical expression of their language. As of late, Japanese economy has been suffering from its stagnation and many Japanese people have lost confidence in their country. Your Name helped them realize that their country is still beautiful, and still rich in both culture and nature. Your Name is going global. It was announced that it will be distributed in 85 countries. That’s a huge step for a Japanese animated movie, a move that usually only very famous directors and Disney can take for granted. I’m very anxious to see the reactions from the foreign audience when the movie is released all over the world. Have you seen the movie? Why do you think it’s so popular? Let me know your thoughts in the comments below.